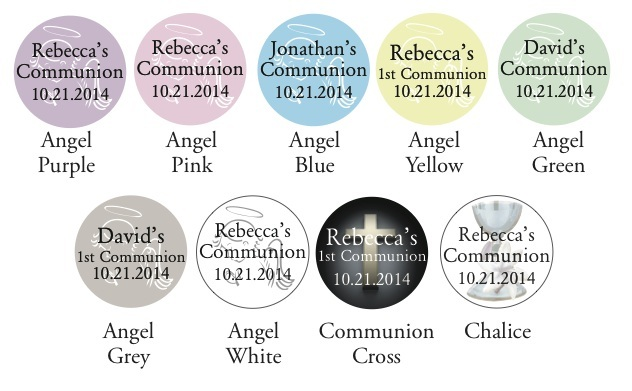 Our customers love these 1st Communion favors because they get used! 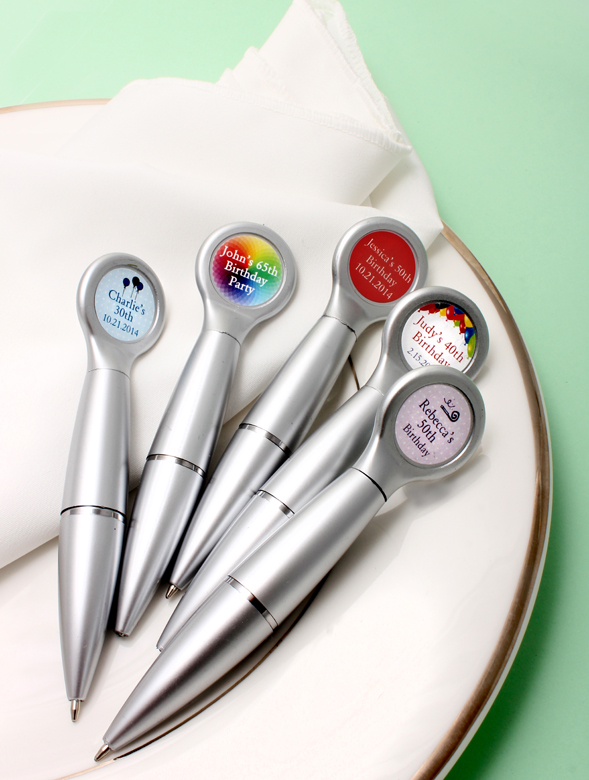 Make it uniquely yours when you select the color and design for the sticker for these pen favors. 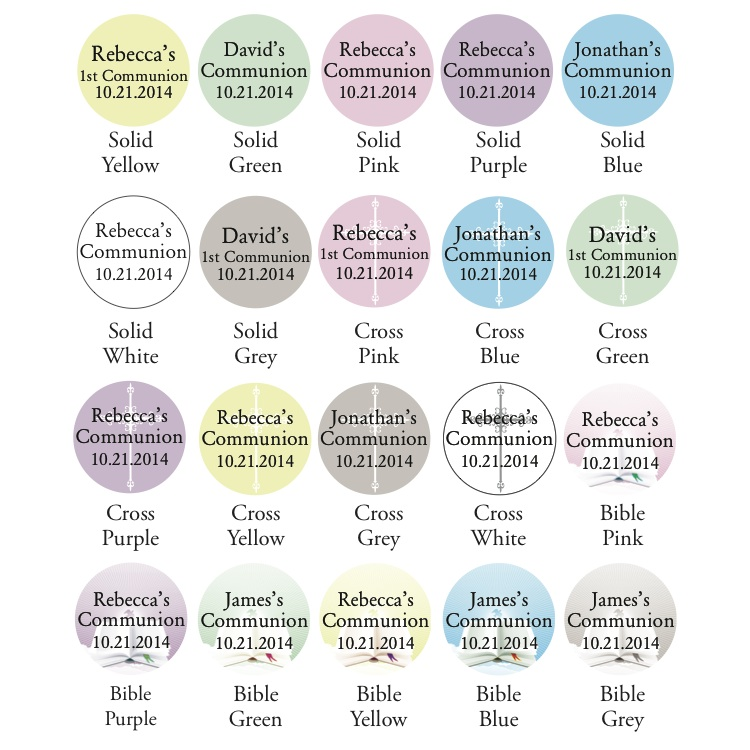 The short text area offers personalization for your event - what a useful reminder of your child's special day! 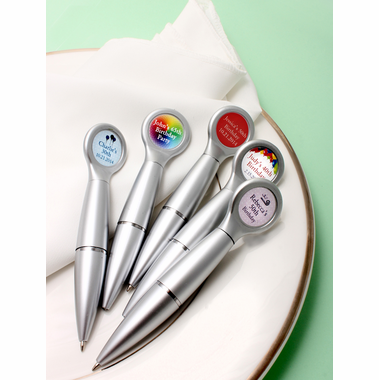 The magnet pens are exclusively ours and offered in silver pen with black ink only. 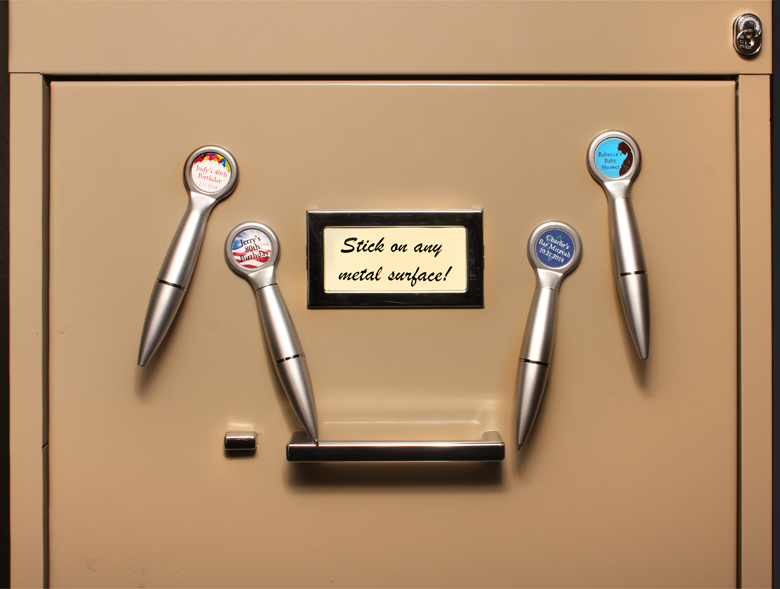 The pens are easily accessible on most metal surfaces and measure 4.5" long so they don’t take up too much space. The pens twist to access the tip, and produce black ink. Each pen comes with a short personalized message, with a silver bow around it, and is packaged in a plastic sleeve to protect during shipping. 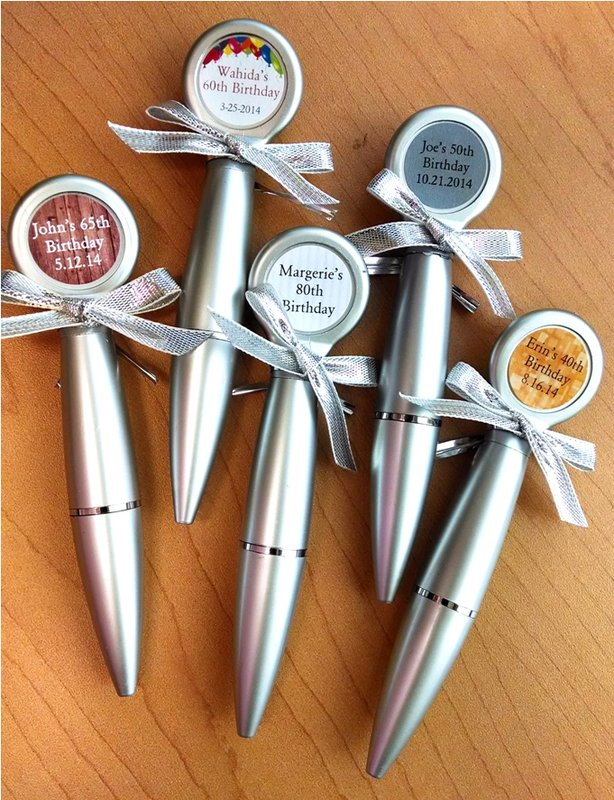 Our customers love these affordable magnet pen favors!